Incognito is my favourite band so I will try not to gush. Surreal is their 15th studio album and delivers a collection of songs that is consistent with what I’ve come to expect from this UK-based ensemble: Tantalizing arrangements, lush production, impeccable musicianship, and stellar songwriting. Filling their shoes are Mo Brandis and Natalie Williams. At first, I was disappointed in the absence of Tony Momrelle from this record. But Brandis’ performance on the first single, “Goodbye to Yesterday” will convince Incognito fans that we have been left in good hands. Williams too, has a strong voice with great range that is so often called for in Bluey’s compositions. Maysa’s tracks are well chosen for her style. “Capricorn Sun” is classic Incognito, reminding me of their much earlier work on the Positivity album (1993). “Rivers of the Sun” is the requisite instrumental and is one of the more memorable of recent albums. Maunick brings back the tonal chant he used in “Fearless” from 1999’s No Time Like the Future. Although it is a very subtle application, it is an effective hook and might feel nostalgic to those of us following the band through its three decades of recording history. 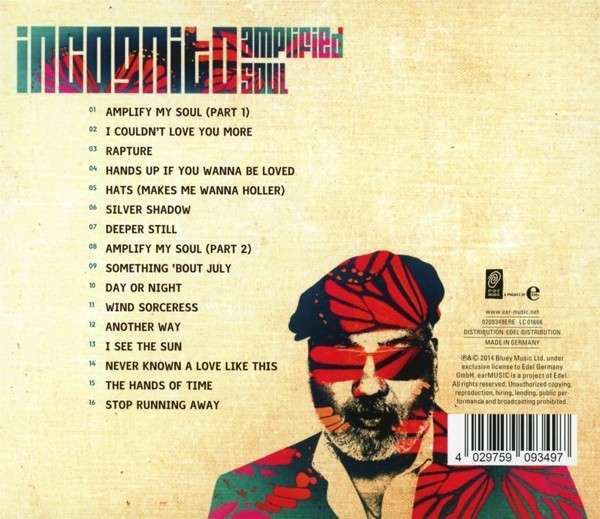 As usual for an Incognito album, all the tracks are strong. “Ain’t it Time” is the only cover, stemming from the disco era. Vanessa Haynes belts it out, no doubt in platform shoes behind the mic. I can’t bring myself to ranking Incognito records in any way, stating one is better than another. Their albums are tirelessly consistent, yet each have a new appeal. Surreal continues that joyous tradition.